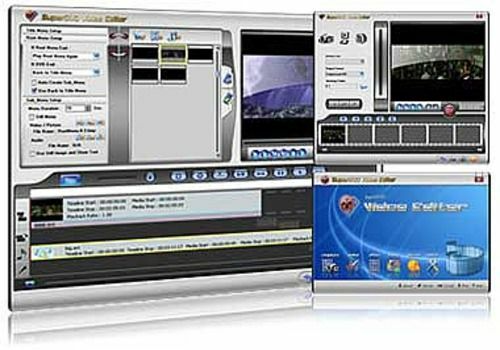 SuperDVD Video Editor is a all-in-one solution for home video editing and authing. Runs on Microsoft Windows 98,NT,2000,XP,Vista. * Capture Film form WebCam ,DV Camera ,TV Card Into Divx or Avi file format on fly. * Edit AVI or Divx or other format file with the frames control. * Copy Any Part of the film and save it . * Divide/Merge Audio or Vedio Stream into new file * Change the play speed and add video effect.